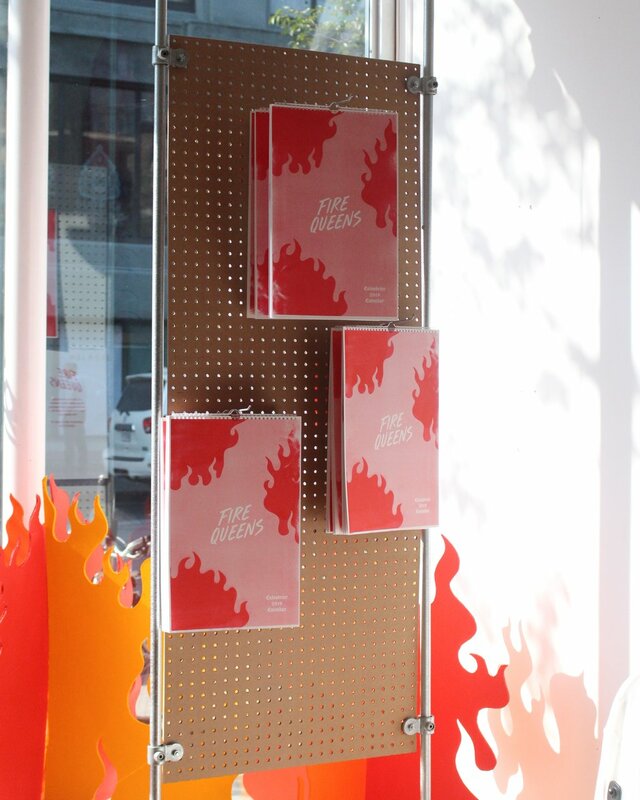 The illustration series and window display, FIRE QUEENS, is a celebration of fiery redheads and an opportunity to call out catcallers. 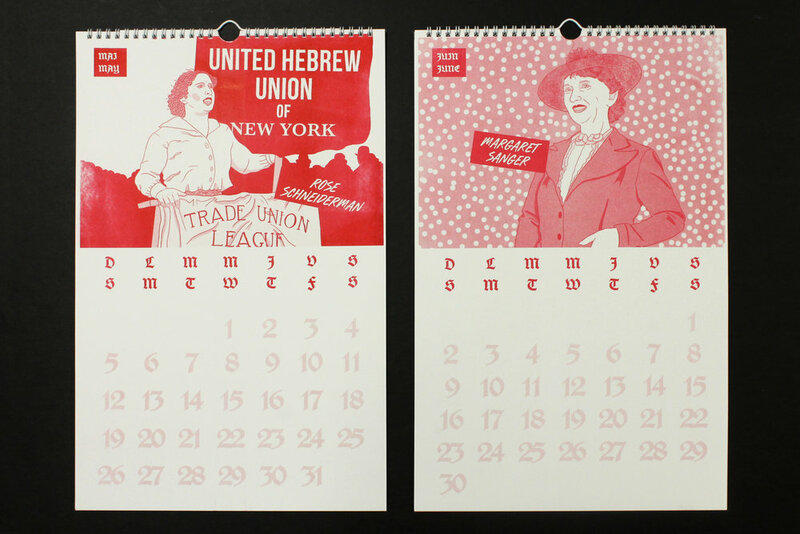 The series title came from a catcall the artist received in NYC, which sparked a personal project exploring catcall culture and life as a redhead. 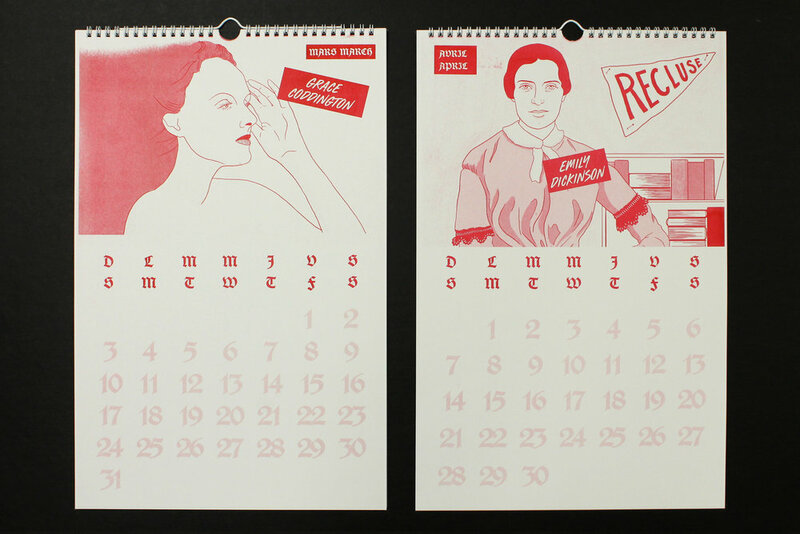 The calendar featuring these illustrations is a celebration of empowered redhead women in history and contemporary times who have strayed from the status quo. The window display was in Citizen Vintage’s plateau store on St-Laurent Boulevard, a busy street for tourists and locals of Montreal, and a regular host for catcalling.The window features a bright, fiery display to warm up walkers by and a positive reminder to femmes and victims of catcalling that they are strong and not alone. 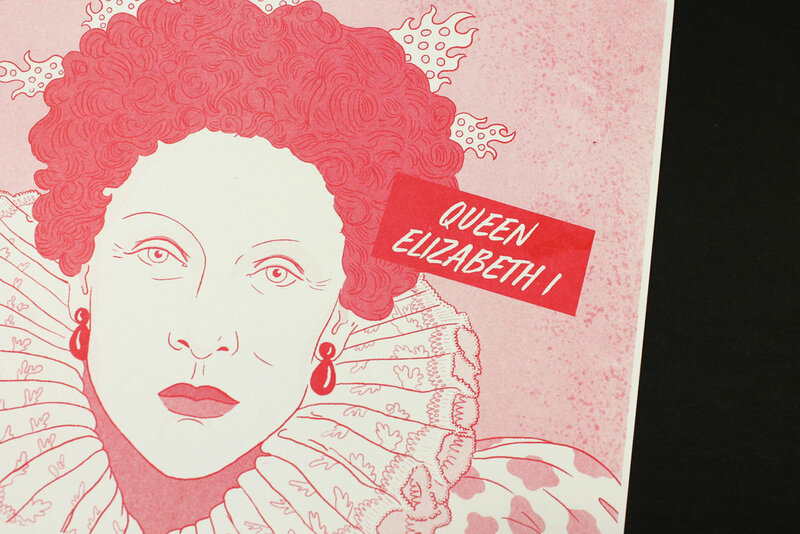 Heather Lynn is a Montreal-based freelance illustrator and graphic designer who is open for collaborations. 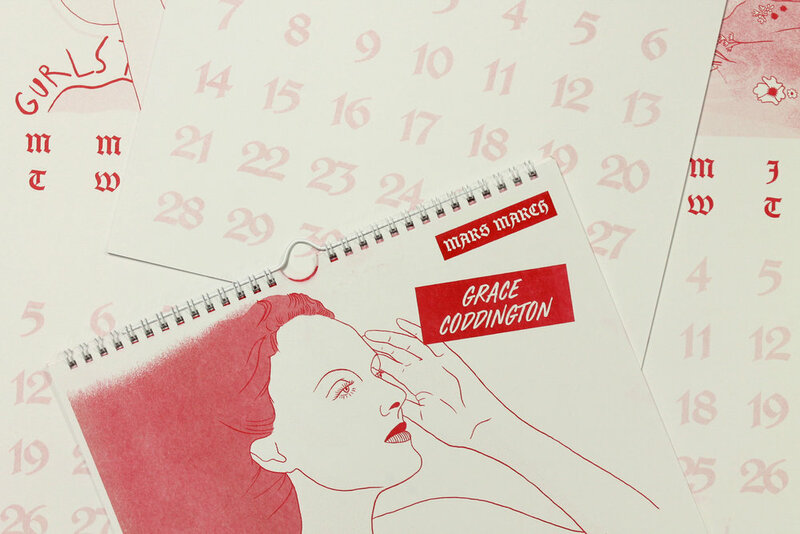 She graduated from Algonquin College of Media and Design specializing in Graphic Design and Illustration.